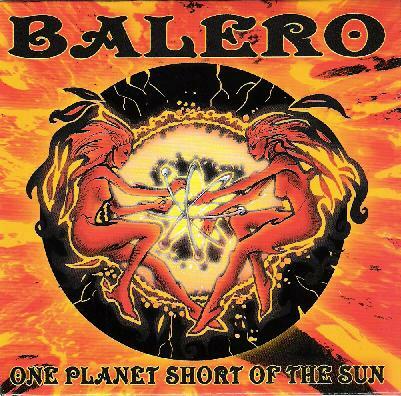 Balero - "One Planet Short of the Sun"
This is the second CD-EP by the Pennsylvania based band Balero. As with the first CD, all the tracks are instrumental and hard hitting balls out stoner rock. I can see from the bands web site they are looking for a singer now though, which is good as some of these tracks would be better with some killer vocals. Captain starts the CD off with the music in the distance, but before long the riffs blast out of the speakers as the bass and drums slowly get louder. I really dig the sound these guys have. The grooves are killer, but come on guys, how about some guitar solos to mix things up a bit???? Bonzai has some cool wah guitar and another great riff. The band keeps it up with Inertia. This track would be great with some vocals. It will come. The Mangler really has got a Nebula vibe for sure. Resolution ends this hard hitting stoner fest. I think fans of Nebula will really dig this CD. You can buy the 18 minute EP from the band for $5! For more information you can visit the Balero web site at: http://www.balero.net.